This year's FWT has been to Vallnord Arcalis, Andorra (two events) and Fieberbrunn, Austria so far. They've faced some sketch conditions at more than one of those but last weekend the athletes headed up to the dream stop of Haines, Alaska where they finally got to take their runs today. The snow took all week to settle and the clouds cleared in time for the skiers, setting up the venue for an awesome day. For reference, the athletes are judged based on their Line Choice, Fluidity, Control, Air & Style, and Technique. 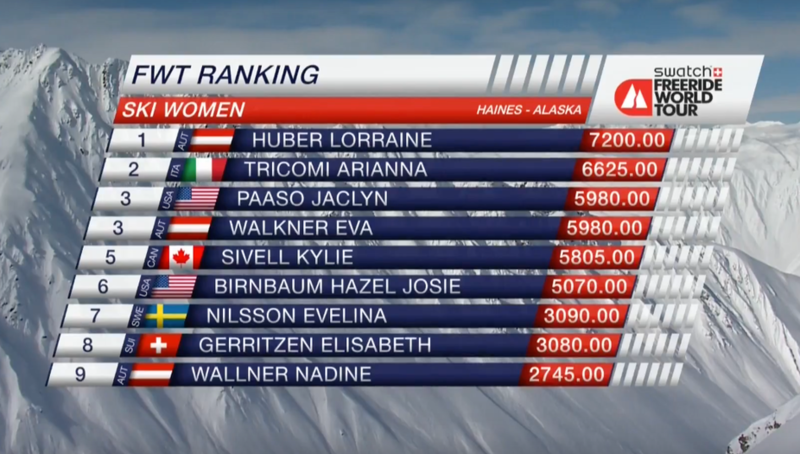 Women's Ski was the last group to ride for the day with Hazel Josie Birnbaum starting them off. She chose a pretty technical line and kept up her fluidity from top to bottom, ending up with a 72.00 as the score to beat. Next up was Lorraine Huber who skied beautifully with a really strong top section where she stomped some cliffs and finished with a score of 78.33. Arianna Tricomi was third and really charged hard throughout the entire line. She was able to nail some pretty big drops and really controlled her speed, earning her a well deserved 82.66 and sliding into first place. Jackie Paaso took a fall on a pretty burly drop and did not finish. Following her was FWT rookie Kylie Sivell who laid out a pretty solid and technical run with lots of drops, but was only able to manage a 70.33. 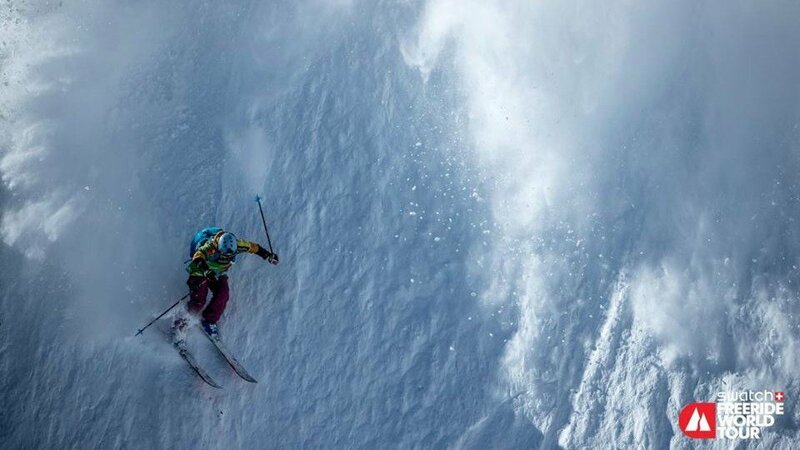 To wrap up the day, Eva Walkner (2x FWT Champion) skied last, putting down a really sick run. She didn’t go quite as big as Arianna or Lorraine, and slid onto the podium in the 3rd place spot with a 75.33.